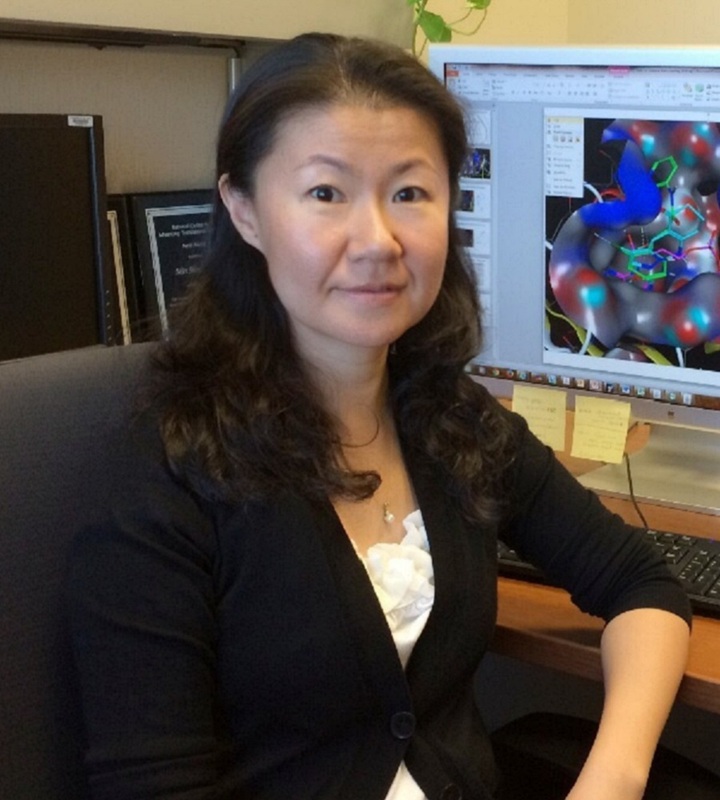 Min Shen has extensive experience in cheminformatics and computational chemistry through her work at NCATS and the NCATS Chemical Genomics Center. She also has expertise in database mining, high-throughput virtual screening, lead identification and optimization using both small molecule–based and protein structure–based computational approaches. Shen has worked with a wide range of computer-assisted drug design technologies in her academic research and had five years of industrial experience before joining NIH. She developed robust computational models and successfully applied them to mine several publicly available databases that had led to the discovery of novel anticonvulsant agents. At Lexicon Pharmaceuticals, Inc., Shen was the lead computational scientist involved in drug candidate identification and optimization through ligand-based and structure-based design and virtual screening. She helped the project move to clinical development and filed patent applications as the inventor of new chemical series for different therapeutic targets. At NIH, Shen plays an important role in decision making throughout the drug discovery process, from target validation and hit identification to lead optimization. She analyzes large data sets generated from high-throughput screening assays, identifies top chemical series for lead optimization and follow-up studies, and builds predictive models to understand the interaction mechanisms of small molecule drugs to their protein targets. Shen works on various projects in the therapeutic areas of oncology, virology, parasitic diseases, and inflammatory and metabolic diseases and on targets including protein kinases, sugar kinases, G protein–coupled receptors, and protease and protein-protein interactions. She also coordinates project resources, timelines and deliverables. Shen received her Ph.D. in computational chemistry at the University of North Carolina at Chapel Hill. She also holds a B.S. in pharmaceutical sciences from the Peking University School of Pharmacy in China. Rational design from hit identification to lead optimization to speed the process of drug/probe molecule discovery and development. Structure/ligand-based computational technologies, including docking and homology modeling; quantitative structure–activity/property relationship models; database mining; pharmacophore modeling; and absorption, distribution, metabolism and excretion (ADME)/toxicology modeling. Multidisciplinary drug discovery campaigns in oncology, central nervous system, ophthalmology, and inflammatory and metabolic diseases, in close collaboration with medicinal chemists, biologists and crystallographers. Dual inhibition of HDAC and EGFR signaling with CUDC-101 induces potent suppression of tumor growth and metastasis in anaplastic thyroid cancer. Quantitative high throughput screening using a primary human three-dimensional organotypic culture predicts in vivo efficacy. Identification of therapeutic candidates for chronic lymphocytic leukemia from a library of approved drugs. Structure-guided design of a high-affinity platelet integrin αIIbβ3 receptor antagonist that disrupts Mg²⁺ binding to the MIDAS.